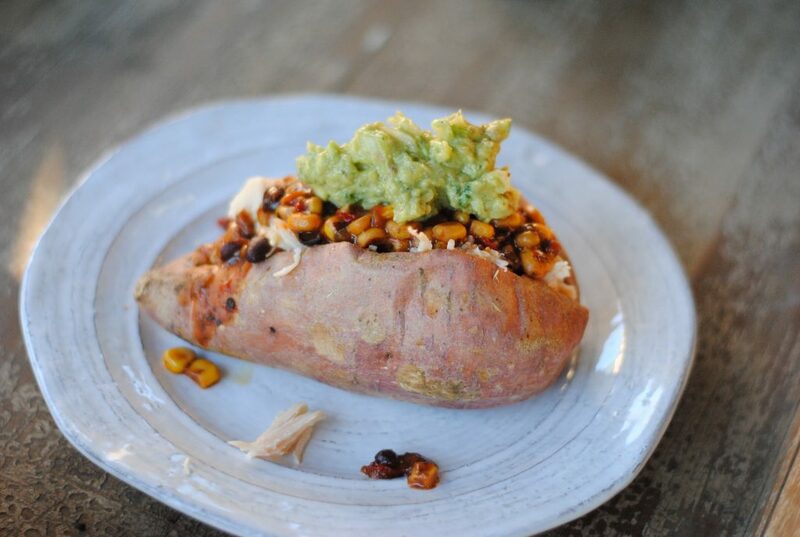 Sweet Potatoes with Chicken, Corn & Black Bean Salsa and Guacamole. 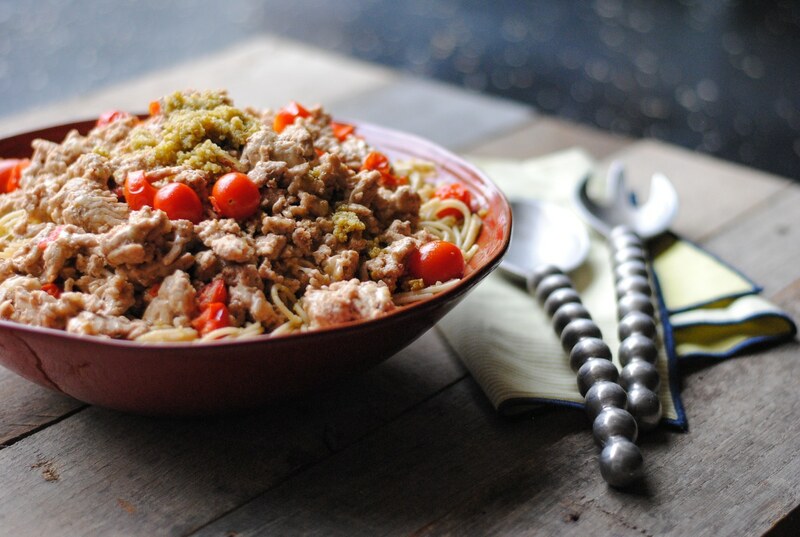 This is a wonderfully easy and healthy meal – perfect for busy nights! If you are short on time, you can always microwave your sweet potatoes, but I prefer them cooked in the oven. Preheat oven to 400 degrees F and bake sweet potatoes for 45-60 minutes or until cooked through. Drain canned chicken. When potatoes are cooked through, slice down the middle and open; top with chicken, salsa and guacamole and enjoy. It doesn’t get much easier than this! If you can open a bag and cut with a pair of scissors, you’re halfway there. Place (pre)steamed lentils in a bowl, add 1/2 cup barbecue sauce, stir to combine, and warm according to lentil package. Warm brown rice according to directions on package. 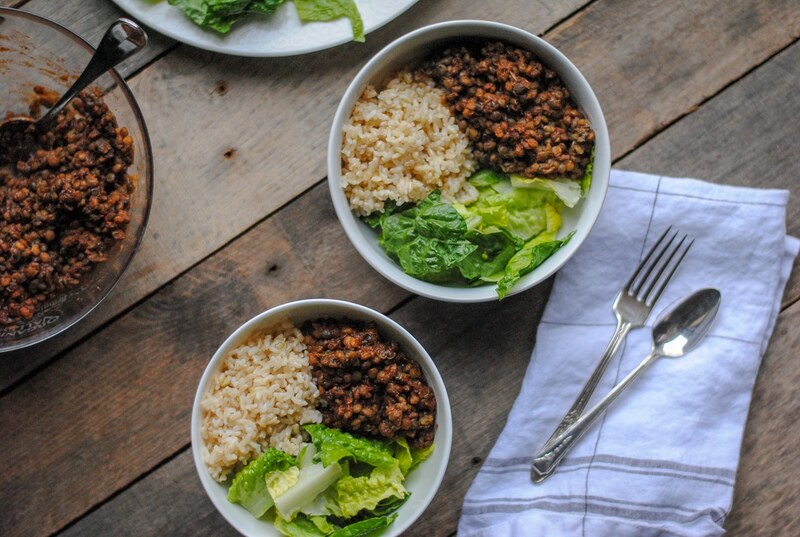 Place rice, lentils and greens in a bowl and serve. To take this up a notch, add a fried or hard boiled egg to the top. 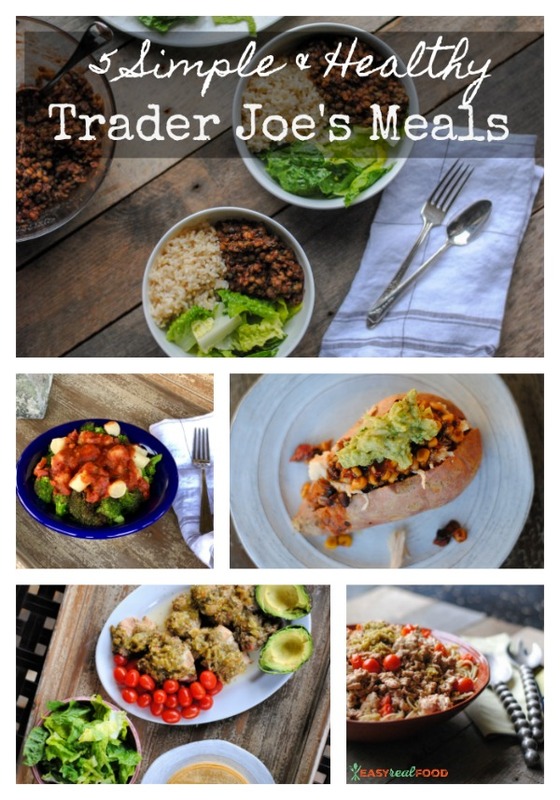 Serve this up with some tortillas (TJ’s has both whole wheat and corn for us gluten free peeps) and some fresh fruit on the side for another simple healthy Trader Joe’s meal that the whole family will love. Slice the pork tenderloin into 1-inch thick pieces. 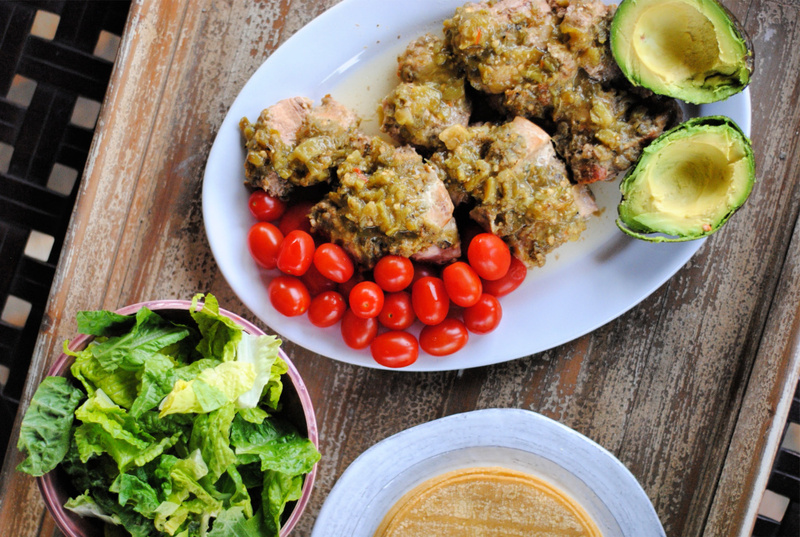 Place it in a slow cooker and pour 1 jar of Salsa Verde and sprinkle cumin on top of it. Cover and cook on high for 4 hours. It will shred easily with a fork when it’s done. Drain excess liquid and mix in the the other jar of salsa verde. Top with chopped cilantro and serve with tortillas. I’d be lying if I didn’t tell you that this one is my favorite! Trader Joe’s Gluten Free Gnocchi is seriously one of my favorite gluten free finds because it just makes you feel like you’re eating something “real,” if you know what I mean. Plus this is a super quick and easy one to make, too! I’ve found that either sautéing the gnocchi in a little bit of oil or butter or cooking it in an air fryer is the best way to prepare them, but this is a no-fail, super easy clean up method, too. Preheat oven to 425 degrees F. Spray a baking sheet with avocado/coconut oil. Add broccoli and gnocchi to prepared baking sheet and roast for 20 minutes. Heat marinara in microwave. When roasting is done, add broccoli to bowls, top with gnocchi and add sauce. Top with optional Parmesan cheese. 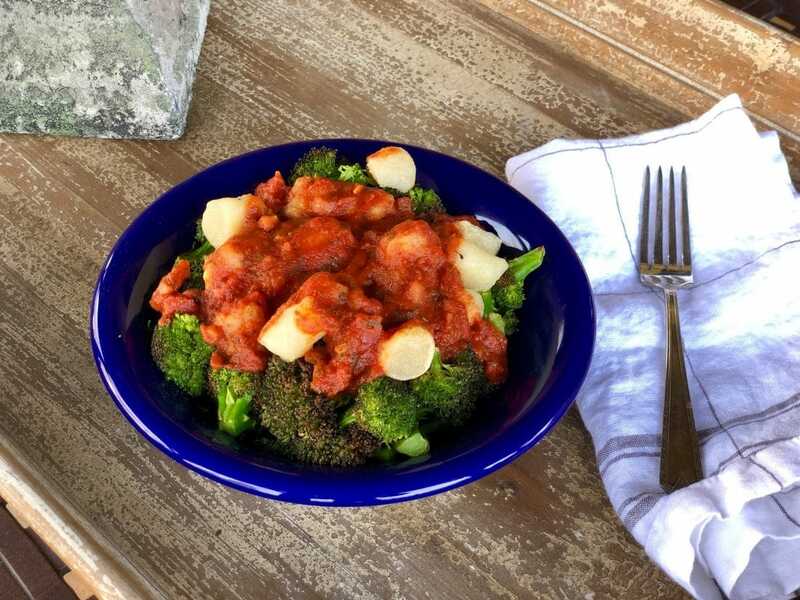 PS – if you’re a gluten free gnocchi fan like I am, you need to check out my Gluten Free Sweet Potato Gnocchi and/or my Paleo Pumpkin Gnocchi recipe, too! This is another easy and versatile meal that can be made with either regular (or gluten free) spaghetti noodles, or made into a grain free meal with the use of spaghetti squash – my personal choice. If using a spaghetti squash, roast in an oven per directions here. If using traditional spaghetti, cook per package directions. Place cooked and drained spaghetti or shredded and cooked spaghetti squash in a bowl and top with 1/2 cup pesto and mix. Heat 1 tbsp oil (I like avocado oil since it can cook at a high heat) in a large pan over medium heat. Add turkey and cook until no longer pink in the middle. Drain extra fat from pan and add in tomatoes and 2 Tablespoons of pesto and cook for 1-2 minutes. Turn off heat and if using cheese, add it now. Mix until cheese is melted. Add cooked turkey mixture on top of noodles and serve warm. We just got a TJ’s last year, so I’m still getting my feet wet there especially since it is a good 40 minute drive from me. This is so helpful! Thank you! 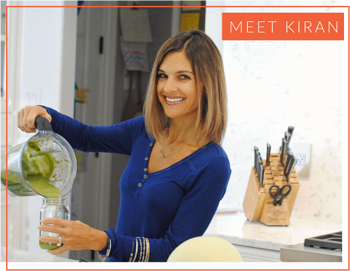 Such a great reminder that healthy cooking doesn’t have to be difficult. I need to get to Trader Joe’s!